Come out and join Spotlight Theatre’s own in-house improvisational theater troupe, for its next IMPROV NIGHT on Friday, June 1st, for funny, fast-paced, unscripted action! Stealth Tightrope makes its first appearance on the Spotlight stage since November! The Nor’Easter is out of here, and the troupe is raring to go, so come ready to give suggestions for games of wordplay, music, and physicality, and you might even end up on the stage! The evening consists of a series of improv “games”. Click on a links below to see examples of these “games”. Each clip is about 3-5 minutes. See Spot ask for your suggestions. See Spot pun, wisecrack, rhyme, sing, dance, fall down (on purpose…usually), get back up, dust off, and start the next game. See Spot invite you (occasionally) onto the stage! 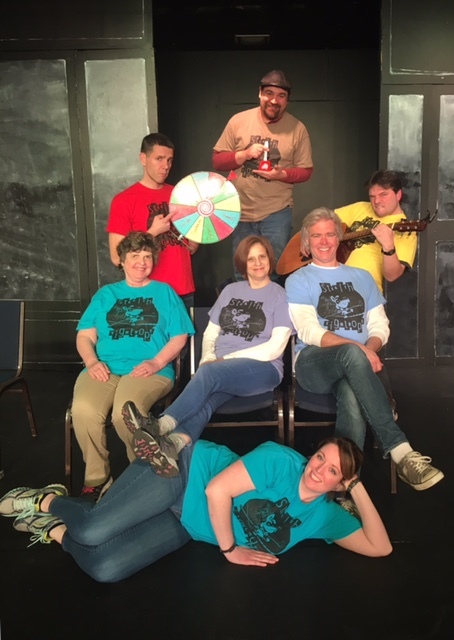 See Spot bring the noise (and guffaws and chortles) as part of STEALTH TIGHTROPE: the house improv troupe (and anagram) of Spotlight Theatre — providing fast, funny, unscripted action! See Spot work with a safety net — even if it’s really just a vat of two-day-old macaroni and cheese. 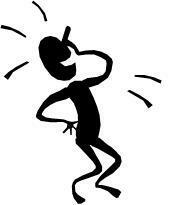 See Spot wag a tail with euphoria at the sound of your giddy laughter and spontaneous, sporadic applause. See Spot at Spotlight Theatre, other Delaware Valley locales, Facebook, and YouTube. Spot would LOVE for you to check out some funny links there!